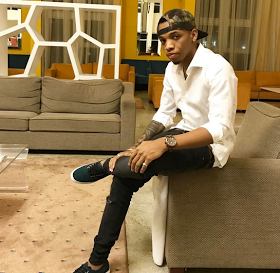 Celebrity news Pana crooner, Tekno reveals he's suffering from acid reflux, takes off to america for proper medical attention. 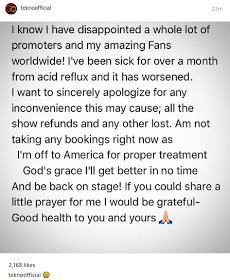 Pana crooner, Tekno reveals he's suffering from acid reflux, takes off to america for proper medical attention. Here are some key points about acid reflux. • It happens when some of the acidic stomach contents go back up into the esophagus. • Acid reflux creates a burning pain in the lower chest area, often after eating. • Lifestyle risk factors include obesity and smoking.